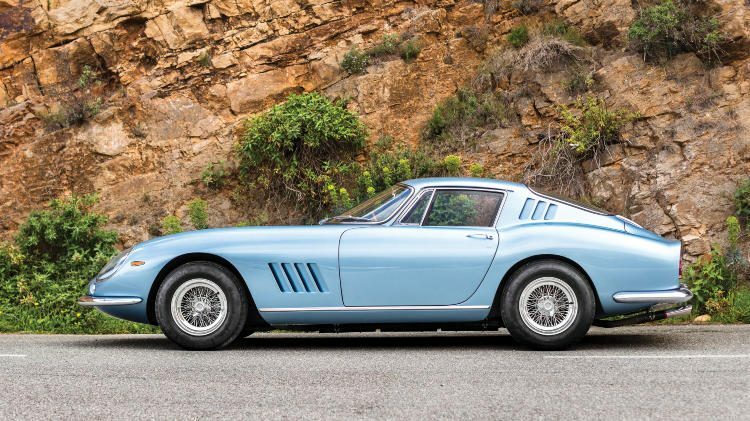 A 1966 Ferrari 275 GTB sold for $2,556,844 while a 2015 Bugatti Veyron 16.4 Grand Sport Vitesse achieved $2,053,381 as the top two results at the RM Sotheby’s Monaco 2018 classic car sale. 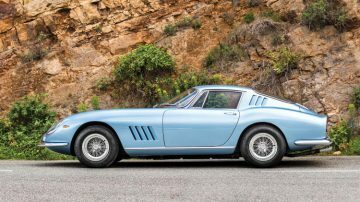 The highest result a the RM Sotheby’s Monaco 2018 classic car auction was €2,142,500 for a 1966 Ferrari 275 GTB, after the two top-rated Ferraris failed to sell. 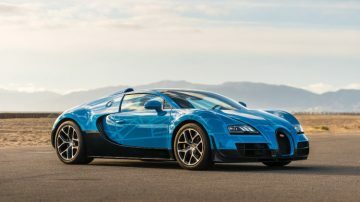 Further two-million-dollar results were achieved on a 2015 Bugatti Veyron 16.4 Grand Sport Vitesse and a 1962 Ferrari 250 GT Cabriolet Series II. A 2018 Lamborghini Huracan donated to the Pope sold for a sensational $966,000 – more than double upper estimate. The lead car for the auction, a 1957 Ferrari 250 GT Berlinetta Competizione ‘Tour de France’ by Scaglietti, estimate €7,000,000 to €9,000,000, failed to sell. RM Sotheby’s biennial Monaco sale was held on 12 May 2018 at the Grimaldi Forum in Monte Carlo to coincide with the Monaco Historic Grand Prix. RM Sotheby’s earned €23,317,290 at the Monaco 2018 sale. At the RM Sotheby’s Monaco 2016 sale, RM Sotheby’s earned €27.5 million with the top result €7,280,000 for a 1951 Ferrari 340 America Touring Barchetta. Note: Prices include auction premium. Auction held in euro, dollar conversion as on day of sale. Seven cars sold for over a million dollar at the RM Sotheby’s Monaco 2018 sale with a further four just missing the million-dollar mark (although any applicable conversion charges would probably push the cost well up). The top result at the RM Sotheby’s Monaco 2018 sale was €2,142,500 ($2,556,844) for a 1966 Ferrari 275 GTB. The car is one of 88 long-nose, steel bodied cars that usually sell for less than the more desirable alloy bodied cars that were produced in higher numbers. The blue 275 GTB was restored to concourse condition in 2005 and well maintained since. It has covered only 31,000 km. 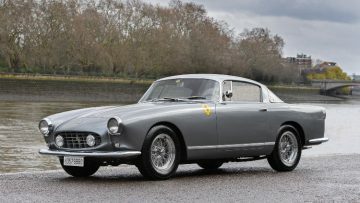 The result was in keeping with recent results for the model – Ferrari 275 GTBs are frequently on offer at classic car auctions with results fairly stable if condition is right. The second highest Ferraris result at the RM Sotheby’s Monaco 2018 sale was €1,692,500 ($2,019,817) for a 1962 Ferrari 250 GT Cabriolet Series II – the first over two-million dollar result on a Series II Cabriolet since 2015. The Ferrari Classiche-certified car was the 172nd of 200 Series II Cabriolets produced. A 2006 Ferrari 575 Superamerica sold for a new model record €860,000 ($1,026,317) at the RM Sotheby’s Monaco 2018 sale. This car is one of only 500 built and one of only 43 fitted with a manual gearbox.It has less than 10,000 km on the clock. 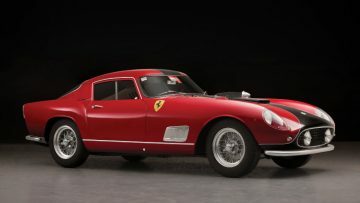 The fourth million-dollar Ferrari result was for a 1957 Ferrari 250 GT Coupé by Boano that sold for €848,750 ($1,013,000). This car is one of 74 “Low Roof” coupés made by Boano from a Pinin Farina design. This 1957 Ferrari 250 GT Coupé by Boano was cosmetically restored in 2012 and refinished in pale silver-blue metallic over a tan interior. It is Ferrari Classiche certified and has its original gearbox and engine that received a rebuilt in 2017. A low-mileage 2015 Bugatti Veyron 16.4 Grand Sport Vitesse sold for €1,720,000 ($2,053,381) as the second highest result at the RM Sotheby’s Monaco 2018 sale. This result was nearly a quarter million euro above pre-auction upper estimate but still about half what the newer Chiron achieved at auction earlier this year. This Grand Sport Vitesse is one of only 92 cars built of the final incarnation of the Veyron. It has several unique details, as is often the case with these cars. It has covered only 840 km – most of it during factory testing. The 1973 Porsche 911 Carrera RS 2.7 Lightweight was factory built for Finnish racing and rally driver Leo Kinnunen and thus has a few special features only true marque specialists would notice: one of only two 2.7 RS coupés built with ST wheel arches and the only 1973 model with a factory equipped 1974 Carrera 3.0 RS rear spoiler. The car had been driven well over 60,000 km since new. 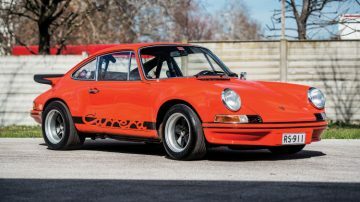 A more regular touring orientated 1973 Porsche 911 2.7 Carrera RS Touring with 248,000 km on the clock sold for €575,000 a day earlier at the Bonhams sale. A 1987 Porsche 959 Komfort just missed the million-dollar mark when it achieved €837,500 ($999,466). This 959 was the 67th car produced and covered just less 50,000 km since new. Service invoices exceeding €60,000 during the past five years confirm that ownership of a 959 requires more funds than just the purchasing price. 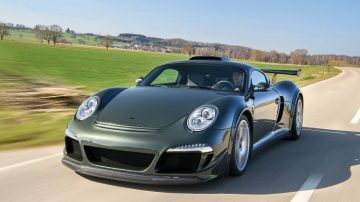 RUF is closely associated with Porsche but despite the Porsche-look, the 2018 RUF CTR3 Clubsport that sold for €1,107,500 ($1,321,682) is quite a different car. This Clubsport has the underpinning developed by Multimatic similar to the recent Le Mans participating Ford GTs. The 777-hp engine is pure Porsche, as is the overall look. RUF built fewer than 30 of the CTR3 cars and only seven are in in Clubsport specification. A 2018 Lamborghini Huracan, estimate €250,000 to €350,000, donated by Lamborghini to Pope Francis sold for €809,375 ($965,902) to benefit a variety of charities. 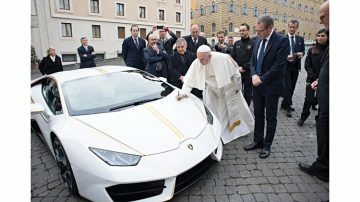 The Pope did not drive the car but he did sign the bonnet of the Lamborghini. A regular Huracan retails for around €200,00 before any options are added. RM Sotheby’s previously sold the 2005 Ferrari Enzo that was originally gifted to Pope John Paul II for €6,050,000 at is 2015 Monterey sale – six times what the car fetched in its original charity auction. The more interesting car was the 1999 Lamborghini Diablo GT that achieved €815,000 ($972,615) on its own merit. This Diablo was the 12th of 80 GTs produced but more significantly has been driven only 276 km from new. 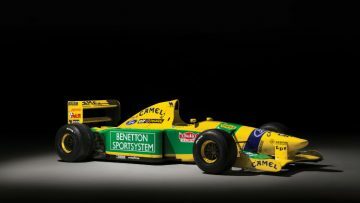 The 1992 Benetton B192 Formula 1 car, estimate €550,000 to €750,000, sold for a strong €815,000 ($972,615). This car was driven to second place at the 1992 Spanish GP by Michael Schumacher. It was the spare car for the San Marino and Monaco grand prix. It is finished in the original yellow and green Camel livery. 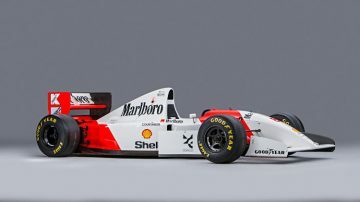 The 1999 Jordan 199 Formula 1 raced by Heinz-Harald Frentzen to second place at the Australia GP and third at the Brazil GP in 1999 achieved a more modest €241,250 ($287,905). A 1987 Camel Lotus racing suit used by Ayrton Senna achieved top of estimate €38,500 while a Le Mans racing suite worn by Steve McQueen in the filming of “Le Mans” achieved only €48,000 – less than a quarter of the pre-sale estimate of €200,000 to €250,000. The more interesting Formula 1 cars this weekend were on offer at Bonhams Monaco 2018. The lead car for the RM Sotheby’s Monaco 2018 auction failed to sell. Bidding stopped at €6.2 million for the 1957 Ferrari 250 GT Berlinetta Competizione ‘Tour de France’ by Scaglietti, chassis # 0879 GT, estimate €7,000,000 to €9,000,000 (US $8,600,000 to $11,000,000). The highest bid offered was well inline with recent results for similar models. The Tour de France join several other significant lead cars in failing to sell at auction thus far in 2018: at Scottsdale 2018 both RM Sotheby’s and Gooding failed to sell their Jaguar D-Types, the Le Mans-winning 1963 Ferrari 275 P failed to even reach the auction floor at Artcurial Paris Rétromobile 2018 and at Amelia Island bidding for the 1974 Porsche 911 Carrera RSR 2.1 Turbo also failed to reach the reserve margin. 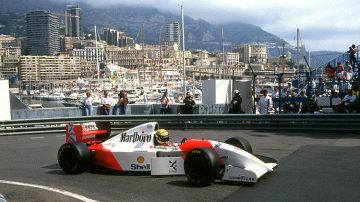 Bonhams sold Ayrton Senna’s 1993 McLaren MP4 for $5 million at Monaco 2018 but even that result was probably slightly disappointing. 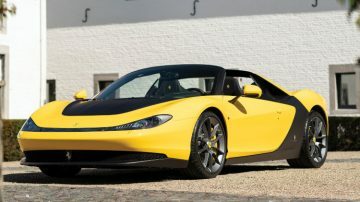 An as new 2015 Ferrari Sergio by Pininfarina, estimate €2,500,000 to €3,000,000, also failed to sell, It is one of only six cars built. The Sergio was first shown at the Geneva Auto Show in 2013 with this particular car shown at the same event two years later, as the first of six cars produced by Ferrari and Pininfarina for special clients. The car is based on the Ferrari 458 Spider and fully road legal. This Ferrari Sergio has covered only 200 km since new. RM Sotheby’s next European auction is London on 5 September while auctions will be held in America at Hampton (The Dingman Collection) in June, Monterey and Auburn Fall – end August.